Oh, this movie still exists? 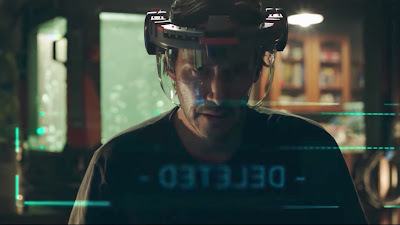 More than a year ago we got our first look at Keanu Reeves in the sci-fi flick, Replicas, mere days before it was to hit the New York Comic-Con. A trailer would be released shortly after, but as of today the actual movie still hasn't been released. What's going on? This is Keanu Reeves, right? John Wick himself? There must be some good reason for the long delay, but instead of a release date what we're getting now is...a new teaser. Not even a full trailer. Replicas is directed by Jeffrey Nachmanoff, and stars Reeves as a man who uses advanced cloning technology to try and bring his dead family back to life, while the authorities seek to shut him down. Or at least that's what the story looked like before, but this new footage has a clear shift in focus. Rather than Reeves' attempt to resurrect his loved ones, this footage is mostly about bringing an experimental robot A.I. online. While we do get flashes of his family, and that plot does seem to still be in place, this change in strategy has to be an effort to drum up buzz for a movie that may never hit theaters. "Coming Soon" doesn't count as an actual date. Check out the trailer for Replicas below, followed by the original version.